Thanks to our HR in the office I found out that Pag-IBIG introduced a Loyalty Card for its members. The card works as a valid ID and Loyalty card in one which is amazing. It also features special discounts and rewards for all Pag-IBIG Members. Today's post will let your know more about this loyalty card from Pag-IBIG. The Pag-IBIG Fund Loyalty Card is available for 100pesos as card fee. You should however have an exisiting Pag-IBIG Fund Membership ID (MID) Number to speed up the process. In case you lost or don't remember your MID Number you can go to Pag-IBIG branch near you, give your whole name and receive your information. 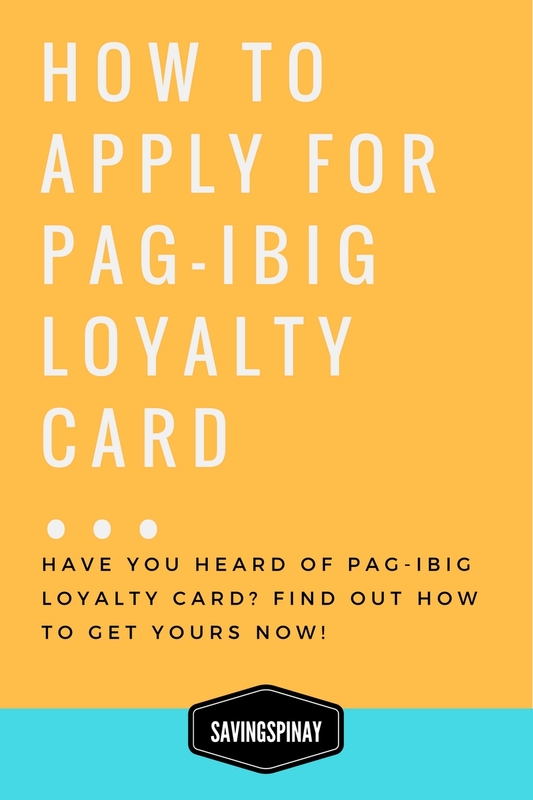 Download and Fill-Up the Pag-IBIG Loyalty Card Application Form. Pay 100pesos card fee at Pag-IBIG branch/center's cashier. Wait for your Pag-IBIG Loyalty Card to be delivered within 1 month to 45 days. Show your receipt to the counter. You can also choose to deliver the card to you without additional charge. Earn Peso Points on purchase at all Puregold stores nationwide. One (1) Point for a minimum purchase of 400pesos in cash or through credit card transaction. Get 20% discount on Retail Ticket Fares at 2Go participating outlets. You can also enjoy Sailaway Vacation Packages. Get 5% discount on Opthalmic Lens, Get 10% discount on George Optical products on Cash Transactions only. For the rest of the participating partners with discounts and rewards CLICK HERE. The Pag-IBIG Loyalty Card is now mandatory. It will be used to all transactions under Pag-IBIG as a government agency. The Pag-IBIG Loyalty Card is a requirement before you avail the loan. Valid for a lifetime and no need to renew. The Pag-IBIG Loyalty Card is not recognized as valid ID in doing transactions with other government agencies. Remember to show your card if ever you avail a product or service on partner establishment. Be prepared for rare cases that the partner establishment doesn't know about the the new Pag-IBIG Loyalty Card. Visit your nearest Pag-IBIG Branch for more details. Hope this post helps. Have you got your Pag-IBIG Loyalty Card yet? 1 comment on "How to Apply for a Pag-IBIG Loyalty Card"